Hiring professional cleaners to take care of the healthy and neat state of your cooking area guarantees great results without efforts. If you rely on the cleaners who work in our company to implement the kitchen cleaning in your home or restaurant, based in Hampstead, NW3, you will be pleased with the results. Our employees are background checked, fully insured and qualified in professional cleaning of kitchens in domestic and commercial estates. They do the work in line with the food safety standards and safety regulations. 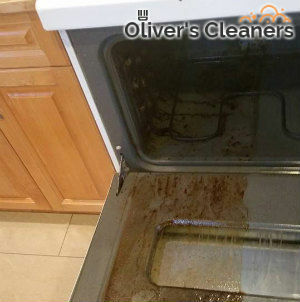 We can provide effective cleaning of the cooking appliances, ducts, ventilation systems and all items in your kitchen. Our staff will come to do the work at a convenient to both sides day and time. They will take apart the oven door, hobs, trays and other components of the electric appliances in the kitchen to soak them in hot cleaning solution. This will remove the carbon deposits, grease and stains after which our cleaners will scrub and rinse the sanitised parts and reassemble them. Our kitchen cleaning services can be used by owners of restaurants and domestic estates, landlords and lodgers in the NW3 area and in the neighbourhood. Whenever you need fast, thorough and effective sanitising of the kitchen items in your home or restaurant feel free to call us and arrange it. We conduct defrosting, scrubbing and sanitising of freezers and fridges, whenever required, inside and our cleaning of microwave ovens and extractor fans. The kitchen cleaning which we implement in Hampstead is comprehensive and ensures perfectly hygienic cooking areas. For more information and help contact our customer support centre.